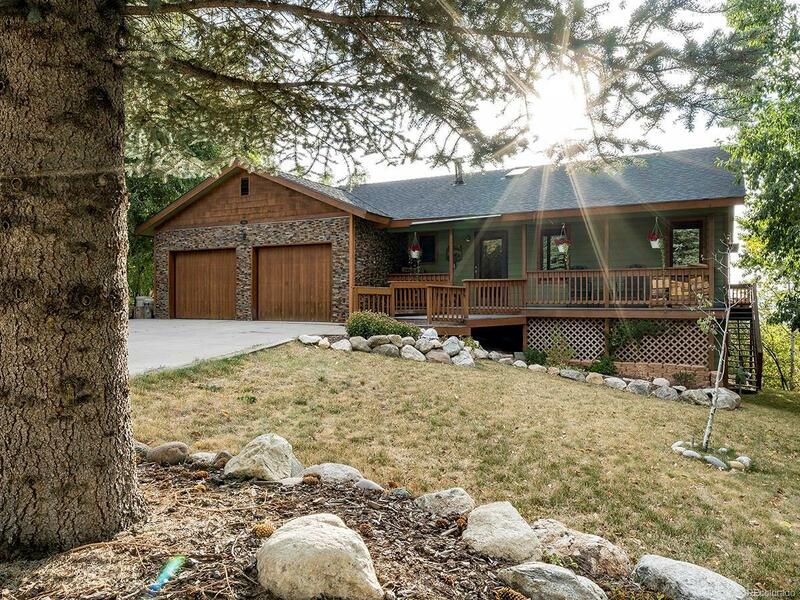 This great single family home sits on over .35 acres with sweeping views of Howelsen Hill and Sleeping Giant. Enjoy the fireworks from the privacy of your own deck. The stone and wood exterior call you over to a cozy covered front porch. The main level opens to a large kitchen designed with granite tile counters, stainless appliances and a center island for even more space to entertain. The main-level master bedroom is wonderfully appointed and the living room features tongue-n-groove ceilings, beam accents and an efficient wood-burning stove surrounded by moss rock hearth. The views and landscape from both the upper-level deck and ground-level patio are unsurpassed. Downstairs youâll find a secondary family room, multiple bedrooms and plenty of additional storage. The junior master bedroom downstairs includes a walk-in closet, tongue-n-groove ceiling, and a remodeled ensuite bathroom complete with magnificent vessel sinks, granite vanity, large soaking tub, and walk-in tiled shower.